Supporting Kolewa in different ways as possible. For instance, you can do a one- time gift, but it is also possible to become a regular donor. To support the foundation more structurally, we made it possible to provide a periodic contribution. If you want to make a regular donation, we discuss with you how you want to be informed about the progress of our work or the specific project you labelled your contribution. We keep it personal and inform you as you wish: do you want to be informed periodically by email, do you want to receive our annual report or policy plan, or feedback at the end of a project? All is possible. We consider it important to maintain direct contact with donors about the use of their donations. We protect your privacy the way you want it. We discuss with you whether we may do a listing on our website and Facebook page of your donation. If appreciated, a personal visit can be made by one of our board members to tell about a project. For anyone who is interested in what we do here are our Facebook page and Twitter account where we post daily messages, photos and videos about our work. Also our founder Syta Plantinga is showing daily activities in Bali and Holland on her Instagram account. We are delighted with our loyal donors. They are both individuals and foundations, religious organisations, businesses, etc. Kolewa has an ANBI recognition; thus we are a registered charity. For you, as a donor (in the Netherlands) it means that your donations are tax deductible. Also in Indonesia, our foundation is registered officially in Jakarta and Denpasar under the name Yayasan Kolewa Harapan Indonesia. 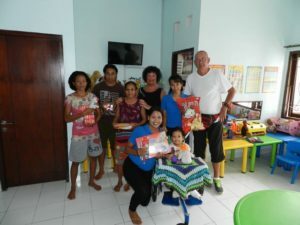 They annually meet to Bali for holidays, go on outreach and in the Netherlands, they share their experiences and solicit donations. With these donations, they regularly financially adopt children with cleft lip and palate from the NTT islands for surgery and residence. They also bring with them something fun always, children’s clothes, toys and sweets! It’s a big party when Harold and Ria are with us! They too come to Bali with resources for the Foundation. They adopted three children for surgery in 2016. During their stay, they follow the whole process: the arrival, hospital stay and follow-up. They are welcome guests in Kolewa shelter and regularly bring friends along. Team member Dessy then goes with them to the market and a full table of groceries is the result. 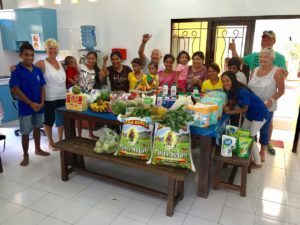 Members of the Hague Kumpulan group started in 2015 with the financial support of the cleft-patient Revino from Sumba. In 2016 the group decided again to support and visit Kolewa foundation. Among others board members Ed Monteiro Miranda attended the shelter in Denpasar with some regularity. Given Revino still needs to undergo a second surgery there is regular contact with his mother. The involvement of the Kumpulan members is excellent. 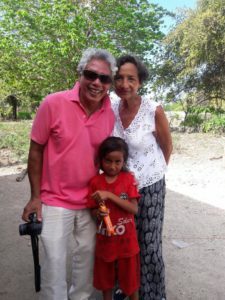 The couple Monteiro travelled with team member Widia along to Waingapu and visited their “sponsor-child” at home. A second patient from Agnes has also operated, and funds are being raised to make a third operation possible. 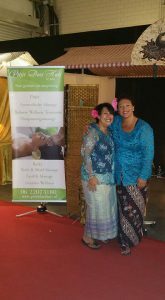 Julia sells envelopes in her massage practice Pitjit Dari Hati with an occasional discount or free massage. The envelopes proceeds go entirely to Kolewa. She also advertises for Kolewa on all sorts of fairs and markets and collects money. A fantastic night spot in the area of Seminyak at Bali, also al loyal sponsor of Kolewa Foundation. 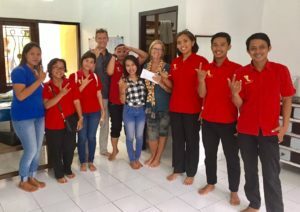 Every year we receive an excellent contribution from staff and owners Andre en Esther, in the expenses of our charity-program. In 2016 they contributed to the school fee of children with hearing impairment. Some of the staff members came to have a look at our shelter home to see with their own eyes where their money is going to. A fund that fights for children’s rights worldwide, and for better circumstances. Incidentally, we ask for support from funds like Childright, often for an urgent request for help like a newborn child with cleft lip, for a first treatment or healthy food. Besides that, Kolewa Foundation shares in the revenues of the two-yearly Gala in The Hague, which is entirely organised by Childright. We are thrilled with the support of Care4needs for Kolewa, just like Kolewa a small foundation which is dedicated to a better world. Worldwide they search for projects, and try to make them well known, and thus find more donors. Early 2017, two members of the board of Care4needs visited Kolewa and then made a short film. Look at their site for more projects. Kolewa Foundation engages in a number of projects in Bali, Rote, Sumba and Flores in Indonesia. 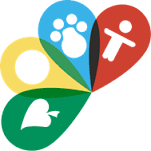 Our goal is to work towards a better future for families with a child with disabilities. Medical care, housing, education and rehabilitation do have our special attention. During our fieldwork we build bridges where possible between patients and local Indonesian organizations and institutions which may provide in making diagnoses, treatment or therapy. Kolewa Foundation facilitates, organizes and keeps abreast of the progress.